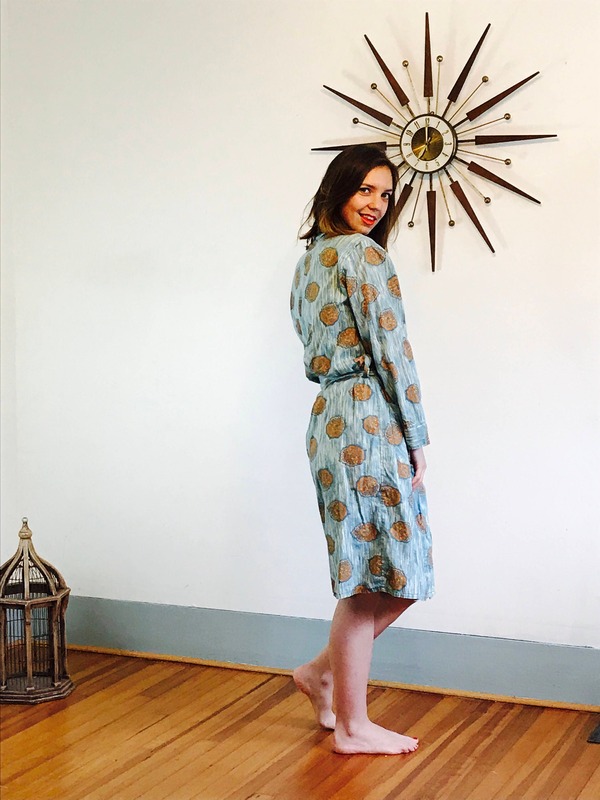 This is a great retro 1950s cotton robe! 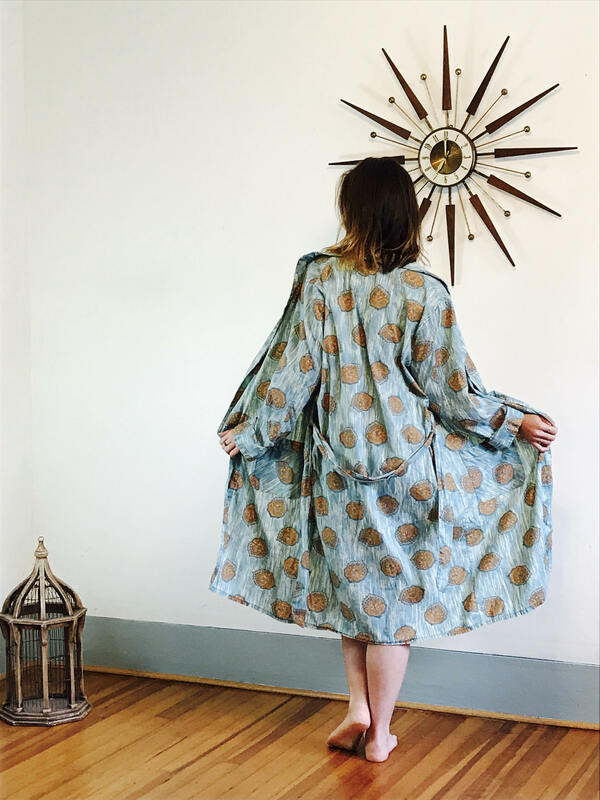 This robe has a mid century abstract design that looks like aqua blue-green paint stripe streaks on white, with a retro gold medallion print! 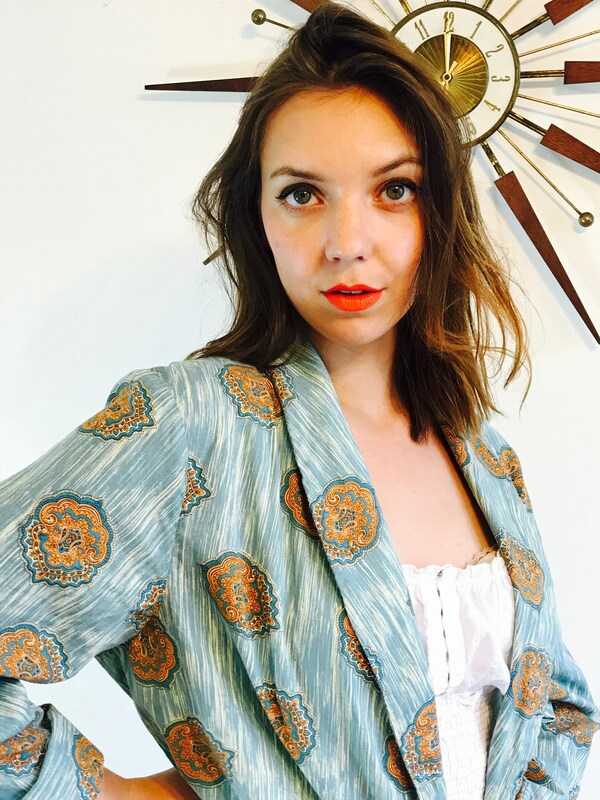 This late 40s early 50s cotton cover up has three pockets and it's original belt. 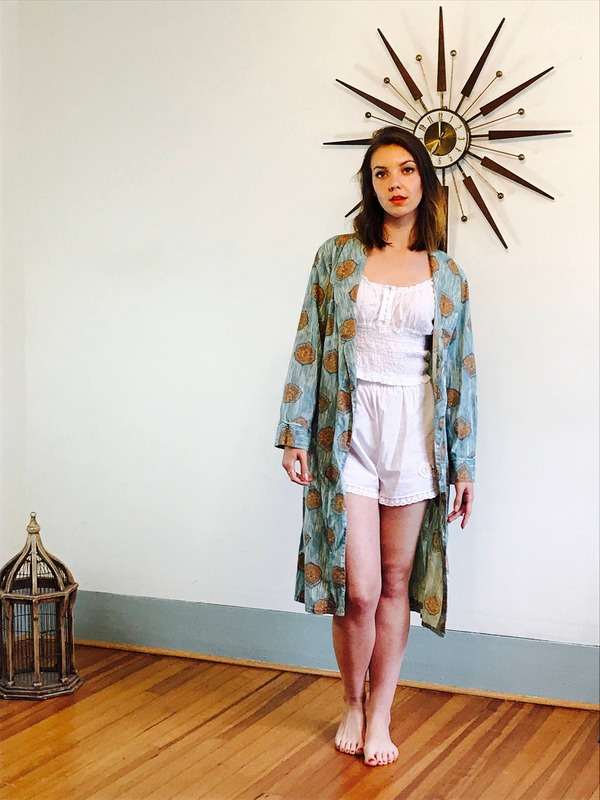 This unisex dressing gown looks great on both a man or a woman! 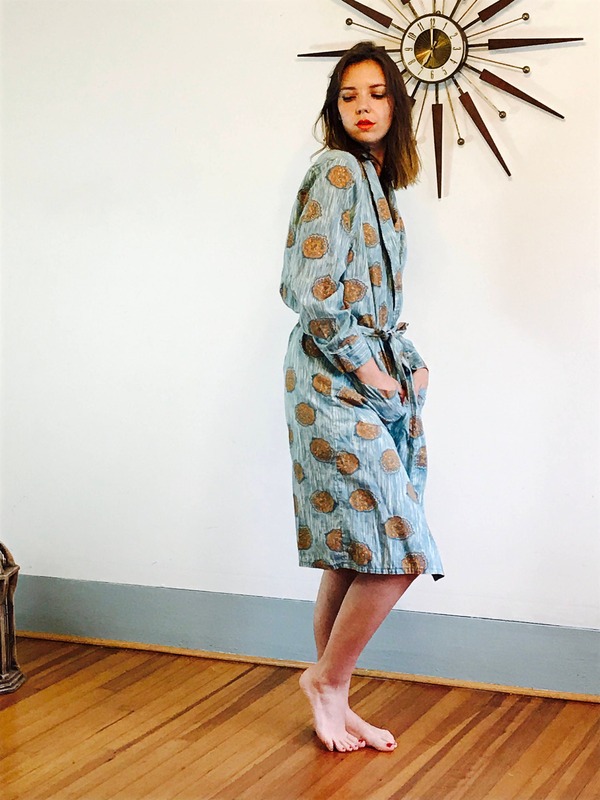 I can see Don Draper dressed in this robe! 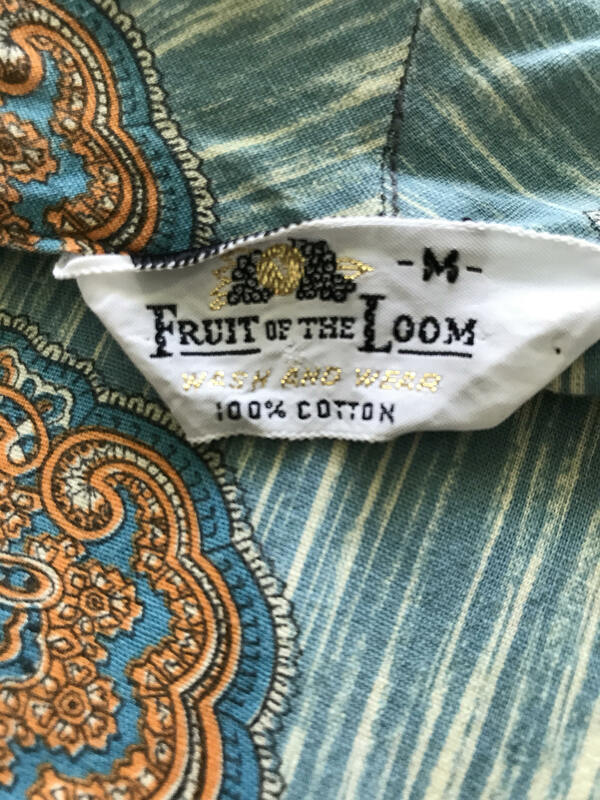 This Fruit of the Loom cotton robe is the perfect example of MAD MEN loungewear! 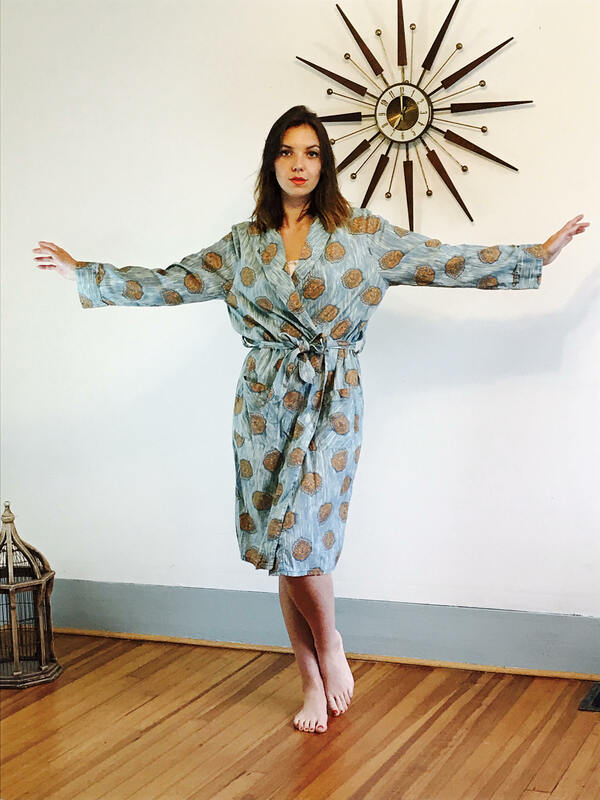 This retro robe would make a perfect gift for the man in your life! Model's Measurements: bust:34" waist:28" hips:41" height:5'9"
CONDITION: Excellent! Freshly laundered and ready to wear!